Are you someone who always runs at the last minute to catch a plane? Or do you prefer to arrive at the airport ten minutes early and relax? This is a question that marketing gurus ask so as to illustrate the benefits of sensible planning in business. • Do you think it’s better to wait until you’re served with divorce papers before running to a lawyer in a panic? • Or would be better to plan in advance? • If you and/or your spouse are internationally connected, would it be best to wait until your relationship has exploded to find out whether your case can and should be brought in another jurisdiction? • Or would it better to know the international choices that you have at a time when you can still influence the results? The answers to the questions are pretty obvious. It’s better to ask your international family lawyer to do some Strategic International Divorce Planning than to wait until a crisis erupts. There are steps that can be taken before divorce papers are served that can make all the difference. Some of those steps cannot be taken on the eve of a lawsuit. For international people the divorce and child custody issues are usually far more complicated than for people who are rooted in just one location. That means that the opportunities for productive planning can be far more meaningful. 1. Analyze the Family’s Entire Economic Picture. This is exactly what any divorce lawyer does in a conventional divorce situation but the strategic international lawyer will pay particular attention to any connections that the family has with other countries, to assets that are located overseas and to the possibility of moving assets or family to other jurisdictions. 2. Consult with the Client as to His or Her Goals. Divorce lawyers can easily make a bad situation very much worse. They must be extremely sensitive to a client’s real needs and desires. For example, there is no point in advising a client to move his assets into an offshore trust if that will destroy a relationship with his soon-to-be ex or drive an inappropriate wedge between him and other members of his family. Is the client prepared to move lock, stock and barrel to a new country for a few years? Does he believe that his wife will join him there? How about the children? 3. Provide an Initial Analysis of the Law in Several Different Possibly Appropriate Jurisdictions. The strategic international lawyer will prepare an initial analysis of the most obvious possible jurisdictions, including jurisdiction of the current residency, the other jurisdictions with which the client or his spouse have substantial connections and any other jurisdictions that the client is interested in, recognizing that if a particular jurisdiction is chosen the client may well need to move there for a substantial period of time and may also be well advised to take others in his family there, as well. 4. Focus on a few jurisdictions. We will then usually consult with counsel in those jurisdictions that seem to hold the most promise. a) The jurisdictional rules.Will the courts in the target jurisdiction accept the anticipated divorce case, including all financial and child custody issues? What “facts on the ground” will need to be accomplished in order to satisfy the conditions? g) Spousal maintenance.What are the rules concerning spousal maintenance (alimony). For what period of time might such payments be required? What is the likely amount of the award? Does the jurisdiction require a “clean break” whereby the spouse must receive a large lump-sum sufficient to generate the income needed to meet lifetime maintenance requirements? h) Enforceability issues.Whether there are any specific factors which make it particularly easy or difficult to enforce an award in the target jurisdiction. -Pre-marital assets. Some jurisdictions allow and even encourage the courts to divide even a party’s premarital assets (England). Others do not (New York). -Trust assets. Jurisdictions vary considerably in their treatment of assets that a spouse has placed in trust. Some jurisdictions will “pierce” the trust (Colorado). Others will not (Japan). -Inherited assets. Many jurisdictions do not divide assets that a spouse has received as an inheritance. Others do (Netherlands). -Gifted assets. Many jurisdictions do not divide assets that a spouse has received as a gift. -A prenuptial agreement. Some jurisdictions do not recognize international prenuptial agreements as binding (British Commonwealth countries). 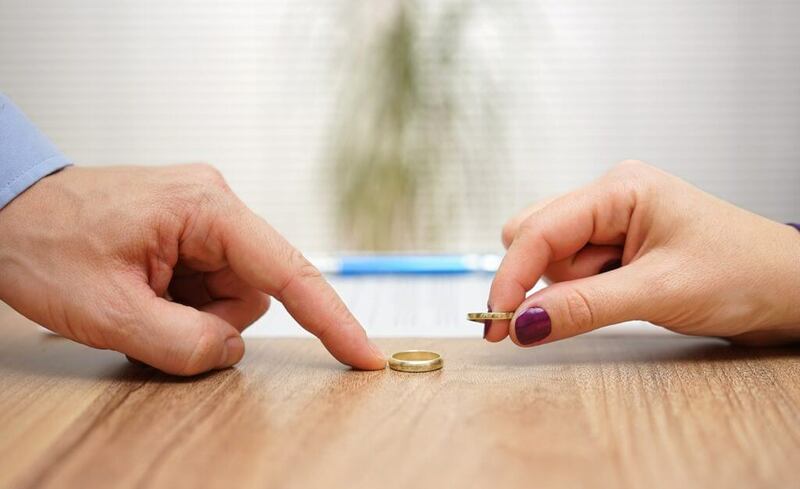 Jurisdictions vary significantly in the bases upon which prenuptial agreements may be invalidated or restricted, in the nature of the burden of proof concerning validity and on other critical factors concerning their applicability. -“Bad conduct.” Some jurisdictions punish adultery, criminally and by a financial award to the “innocent spouse” (Korea). Others allow a divorce for mere incompatibility (California). 5. Analyze the rules concerning children. Jurisdictions around the world vary enormously in their treatment of children upon a divorce. -Sole custody versus joint custody. -Minimal visitation rights to a noncustodial parent versus liberal visitation rights. -Freedom to relocate versus limited relocation. -Freedom to take children overseas versus inability to do so. An analysis of these matters must consider not only the rules on paper but the rules in practice. Enforcement issues may be critical. 7. Advise as to the steps now to be taken. (a) Maximize the likelihood that the jurisdiction in question will indeed be the jurisdiction that actually handles the matter. (c) Maximize the likelihood that the jurisdiction in question will view the facts of the case in as favorable a light as possible.